100% brand new and high quality, getting a better life try this hangers space saving which can storage 8pcs clothes, it does not occupy any place. Space-saving, non-toxic and odorless, no trace of clothes, non-slip , strong load-bearing, rotating hooks, healthy material, protect collar. 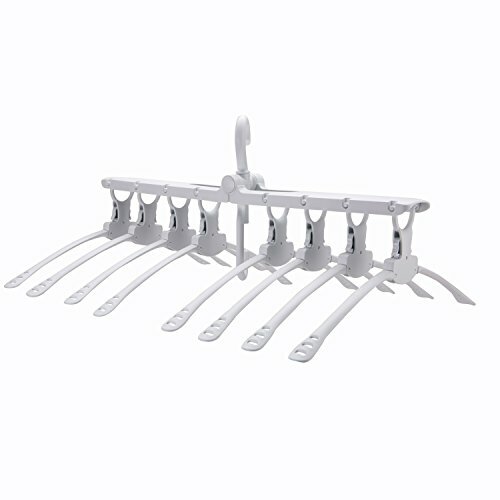 Foldable and 360 degrees rotatable, a suitable spacing between the hangers for easy access to get clothes. They keep everything organized and helps save space for a clothes. If you have any questions about this product by Lantch, contact us by completing and submitting the form below. If you are looking for a specif part number, please include it with your message. © 2019 - pbdtrio.com. All Rights Reserved.